Never Give Up: Dolores O'Riordan: Missing You "When You're Gone"
That is what I do..."
Dolores O'Riordan was laid to rest on Tuesday by her family after a Requiem Mass in the little parish church in Ballybricken, County Limerick—the same church where she grew up singing and playing the organ. 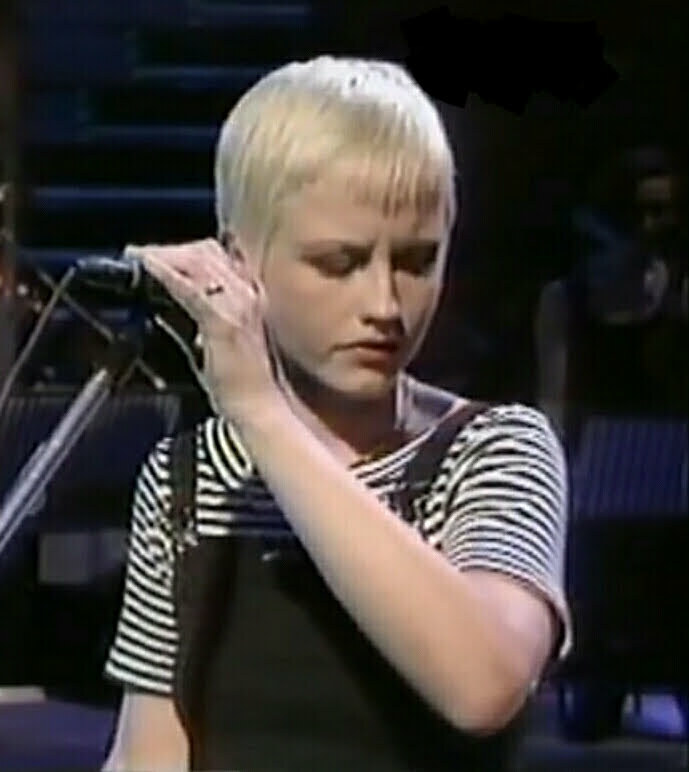 This was after a week of shock, public mourning by all of Ireland (along with the sorrow of fans around the world), and still no news on what caused the sudden death of the 46 year old lead singer and songwriter of The Cranberries. Ah, the Cranberries! My wife and I saw them back in 1995 at Wolf Trap. It was packed, but we were (still) young, newly engaged, not realizing how footloose we were. The music will always be part of our lives, part of "the soundtrack" of a precious, unforgettable time. We share the gratitude of the Gen-Xers and early Millennials who were growing up with this special music in a remarkable period of musical creativity. Poor Dolores Mary Eileen O'Riordan. What happened!?? She had a very difficult life. Certainly it wasn't easy being the frontwoman of the second most famous popular music band in Irish history. It would have been simpler for her and the lads from Limerick (Noel and Mike Hogan and Fergal Lawler) if rock-superstardom had never come so suddenly in 1993, if they had spent their music career as a band playing in pubs. They wouldn't have been disappointed. They never dreamed of massive global success with all its dazzle and attention and its grueling (inhuman, really) demands. It was exhausting for Dolores, and it exacerbated all the deeper problems that no one knew she had at the time. 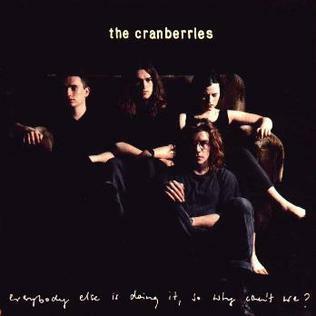 What made The Cranberries so remarkable? The band laid down a simple mellow rhythmic background and Dolores carried the melodies with her Irish soprano voice, which was a peculiar mix of ethereal Celtic floating, choir girl precision, alternative-rock edginess, and Gaelic-country-folk sounds, all topped off with riffs of yodeling. That description makes it seem complicated. In reality Dolores blended it organically into her own signature style. The result was a band that made songs that were a little odd, a bit fringy, definitely original but also catchy and accessible. They had the broad appeal not of cheap novelty hits that everyone forgets in 6 months, but of classic songs that endure, that people never get tired of. They also came on the scene with the kind of creative "kick" that put the "alternative" in the alternative music vibe of the 1990s. It was not unusual in those days to hear for the first time a new song from some hitherto obscure band and have your socks knocked off. I remember hearing Dreams, and thinking "this is nice, yeah" and then suddenly in the middle of the song there's a bridge where she launches into the yodel, like "laahh haa ya hay yah ya hay yah ey ahh haa ya hay yah ya hay yah haah yaaaah!" And I went, "Dang! What was that? That was terrific!" How is it possible that Dolores O'Riordan died last week!? For me this hits harder than the increasingly common but still remote deaths of "celebrities" that I remember from my younger days. I kept up with the Cranberries, their periodic reunions, and Dolores's private and public joys and troubles. I appreciated her honesty and openness about her suffering, and could relate to some aspects of it. This lady from the countryside of western Ireland—usually reticent, polite (when she wasn't manic), unvarnished, and matter-of-fact in her speech—told the world a lot about her life. It was a life of physical and mental affliction: bipolar disorder with deep depression episodes, trauma from childhood sexual abuse by someone close to her family, anorexia, alcohol misuse, and (more recently) a very painful chronic back problem. She did love music, though. She also had a marriage that was happy at least for a while and three children to whom she was very devoted. She attempted suicide five years ago, but seemed to be pulling things together. The Cranberries were making new music. Dolores O'Riordan had a refreshing, natural lack of concern for anybody's ideology or form of "political correctness." She told the IRA to stop killing kids, and to stop pretending they represented her or her family or ordinary Irish people. She told Rolling Stone magazine that abortion attacked the dignity of women and diminished them. She was a rebellious kid but still kept her connection with the Catholic Church, and said one of the best days of her life was when she brought her mother to meet the Pope. She told Ireland about mental illness (something they need to talk much more about over there). She set the example by telling her own story. Nobody knows exactly what happened. She was found dead in her hotel room in London on the morning of January 15. When I first heard the news, the shock of it was compounded by the fear that it was probably suicide. In any case, the playing out of the post-mortem seems to point away from suicide. What keeps us even now in suspense regarding the cause of her death is the unfinished toxicology report. Dolores was probably taking a variety of medications, which may have included increased pain management for her back. There are many ways that tragic accidents can happen during intensive medication regimens, especially in unfamiliar surroundings, while traveling, under stress. Mistakes in dosage, unfamiliar side effects, shifts in metabolism, and other such factors can bring on dangerous complications while a person's mind is taken up with so many different things. Sick people sometimes walk on an edge just to get some sleep and pain relief. If they slip, even through inadvertence, the consequences can be dire and ultimately disasterous. Whatever the findings of the toxicology report and the coroner in the Spring, I do not believe that Dolores died as the result of a free and terrible decision to give up on life. Rather to our eyes this will remain a tragic, sudden, inexplicable death. Ultimately, what more can we say? She was called home. Dolores fought a long hard war. She struggled to survive not only the trauma from her childhood but also the emotional shell shock of being thrust onto a world stage when barely out of her teens, and forced through the relentless grind of mass-market-driven rock stardom in the mid-1990s. Some might argue that she was young and willing to live in a high speed danger zone (they didn't know how broken she already was). We were young too and we loved it and paid our money. It's not easy to be an artist. It's even harder to be an "entertainer" in a world that idolizes entertainment. There's nothing wrong with entertainment in itself, of course. But really, we should take better care of the talented, fragile human beings who sing and dance and make us laugh. The thrill of adulation is fleeting on both sides; what they need and deserve is our gratitude, respect, support, and collaboration in whatever ways we can give it. They may need it more than we realize. Grant, O Lord, eternal rest to your servant Dolores, and let perpetual light shine upon her. May she rest in peace. We commend your soul to God. And we miss you when you're gone. That is what we do.